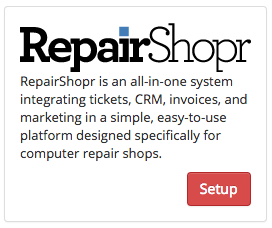 If you already have a RepairShopr account you can configure some of our Hosted PBX services to set the Callers Name based on your contacts in your RepairShopr.com database. Please note you will need to enter your numbers in the E164 format for accurate lookups to work. E.g. 61312341234, using 0312341234 will not work. Now when a customer calls in, and they and there is a matching name the caller ID will be set to the name of the person.